When most of us consider lawn care during the fall, our first thoughts are of leaves changing color and then falling. This is the most obvious sign of plants slowing their metabolisms to stay alive during the seasons of scarce resources. But fall can also nurture new life, with planting benefits all its own. For example, the combination of cool air and warm soil stimulates root growth, allowing young trees and shrubs to get established before the ground starts to freeze. Cold weather doesn’t have to mean barren vistas as far as the eye can see. Here are a few ideas you can implement in the fall to support an attractive landscape during winter. Seasonal Flowers: Flowers are typically first on the list of ways to add vibrant beauty to a yard, but those thoughts are more often associated with spring and summer. 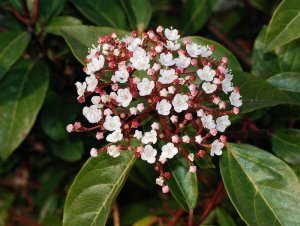 Plenty of flowers will produce blooms and fragrances throughout the winter. Pansies, violas, camellias, and jasmine are among those that can thrive in our region. Fruit Producers: Fruit plants are another way to add distinctive highlights to a winter landscape. They’ll add even more visual value by attracting birds, to bring activity and even more colors to your yard. Nandina, holly, viburnums, and flowering dogwoods are popular choices. Barks (The Silent Kind): Trees and shrubs can contribute more than just leaves to a winter scene. Consider mottled crepe myrtles or red and yellow twig dogwoods. Evergreens: These reliable features of cool-season landscaping ensure deep green foliage all year. And their name doesn’t do them justice: Some evergreens feature blues, yellows, and even variegated combinations. Different plants will obviously grow to different sizes. Do a little research to ensure that yours are spaced properly with plenty of room to grow. Spacing matters underground as well. A hole should be twice as wide as the plant’s root base and the appropriate depth. A root ball won’t stay stable in a shallow hole, while a deeper hole might reduce the supply of crucial oxygen. Packaging instructions or, again, online research can provide guidance. Before planting, moisten the soil to reduce shock to the roots. A layer of mulch around a tree or shrub will help to maintain moisture in the ground and stable the soil’s temperature, but piling mulch near the base can invite disease. If you have plants that aren’t thriving, you may have considered moving them to a new location. Fall’s benefits for roots also make it an excellent time to transplant. A leafless landscape doesn’t have to be drab, and colorful textures don’t have to be confined to the warmer months. These suggestions are just a few of the ways that a creative approach in the fall can make your lawn beautiful in a whole new way during the winter.